Dishwashers aren’t exactly new appliances they were invented in 1886 after all! But they are not a common everyday household appliance, are they? Unlike washing machines, cookers, fridges, and freezers dishwashers aren’t something you’ll see in the majority of households. They are more luxury appliances and aren’t really classed as an essential but despite this they are still a popular appliance because they make one of the hardest most difficult jobs easy to deal with! No one really enjoys washing the dishes, do they? So, a dishwasher is certainly going to come in handy for many households. But dishwashers are actually quite complicated appliances and there a lot of tips and tricks to them then many people don’t know. 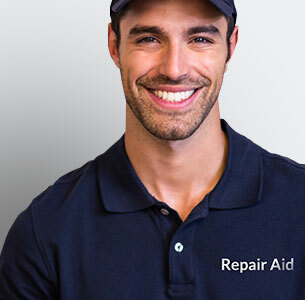 Let’s look at some of the key things to know about dishwashers in more detail. Night Time Washing Is More Cost Effective! 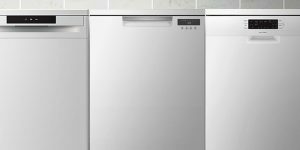 It might not seem like it but the time you actually turn your dishwasher on actually plays a big part in how expensive it will be to run. While you can use your dishwasher at any time it is advisable to use it at night time. For many people, electricity will be cheaper during off-peak hours so if you run your dishwasher at night it will be at a lot cheaper on your energy bills. Plus, all you’ll need to do is take them out of the dishwasher in the morning and you’re done! One of the big arguments against dishwashers is that they are thought to be more inefficient and waste energy. However, that’s not exactly true many dishwashers are actually going to be the more efficient option when it comes to doing your dishes because it will save more water. Think about it like this when you’re doing the dishes by hand do you really pay much attention to how much water you use? Probably not but with a dishwasher, you can be sure you are using the right amount of water and aren’t wasting any so it is actually the more efficient method for many people. Preventing Nasty Smells Is Easy! 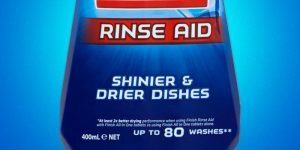 One of the big problems new dishwasher owners will face is nasty smells building up after repeated use of the dishwasher. Don’t worry if you notice this happening because it is a common issue and easy to fix. Simply adding a cap of white vinegar to your dishwasher will help get rid of the smells and get rid of any grime or dirt. 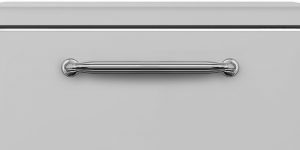 Hot Water Will Improve Your Dishwashers Performance! Having hot water instantly pour into your dishwasher will help ensure anything you clean comes out sparkling. Unfortunately, water can take some time to heat up can’t it? However, simply running the hot tap in your sink for a few seconds can help ensure your dishwasher will start a wash cycle with hot water. This will help make your dishwasher’s performance much more effective and you won’t waste time washing dishes with cold water. 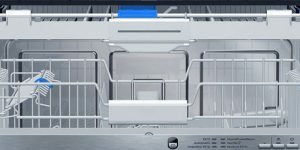 Loading Your Dishwasher Is Simple! One all too common problem with dishwashers is that many people who get one for the first time won’t know how to properly load them. But it’s actually much easier than you think and there a lot of different ways you can actually approach loading your dishwasher as well. One of the best ways to load your dishwashers is to put your utensils together. You can have your cutlery and plates together on one rack while keeping the glasses, cups, and pans together on the bottom rack. But remember if you’re ever unsure or simply want to know what the most effective way to load your dishwasher is then simply check your manual. Most manufacturers will have recommended loading set-ups for you to use so if you’re unsure check out your dishwasher’s manual because they’ll be some handy diagrams to refer to. OK, this one is just for fun! Yes, you can actually cook salmon in your dishwasher and if you do it right it’s actually going to be quite tasty too. All you need to do is wrap a salmon filet tightly in some tin foil. Then just place it securely in the top rack of your dishwasher and run your dishwasher on a full cycle. Make sure you leave it for the full drying cycle as well in order to ensure the salmon is fully cooked. Once the cycle is finished you’ll have a steamy, moist piece of salmon that is ready to eat! I don’t recommend doing this all the time but if you’re looking for something new to try or to amaze friends it’s worth a go.